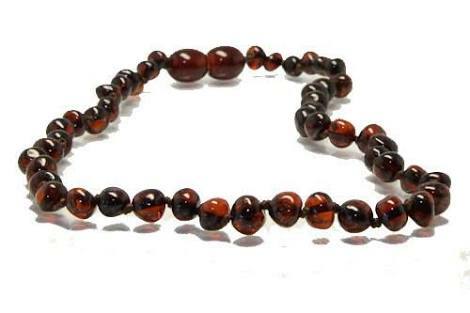 Many believe that the use of amber to sooth a baby’s teething pain is something new but amber necklaces have been used for hundreds, if not thousands, of years in some European and Asian countries. In fact, in Austria, Switzerland and Germany, amber teething necklaces are often sold in local pharmacies. So how does amber sooth teething pains and does it work? Most treatments of teething pain call for the application of gels, taking of tablets or chewing on biscuits. 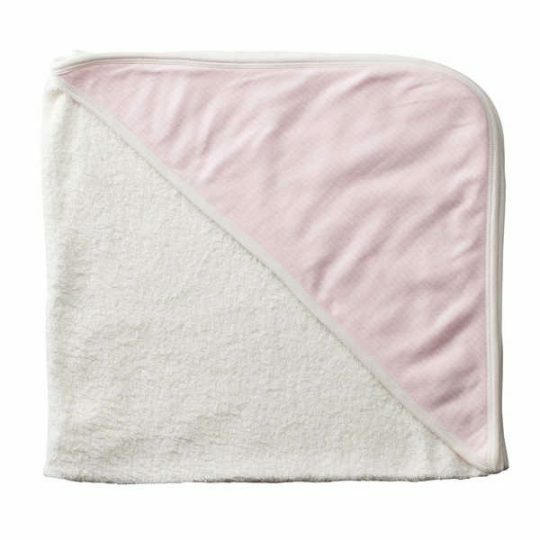 All of these methods, including homeopathic teething remedies have to be applied time and again. However amber claims to avoid all this: you just give your child an amber teething necklace and the symptoms of teething are reduced – and sometimes avoided altogether. Your baby may look cute wearing an amber teething necklace, but how do they work? First off, amber is made for wearing, not chewing. Also, it is a resin, not a stone so it is warm to the touch. It has been known as a natural analgesic, helping to fight inflammation, infections and respiratory disease. By placing amber next to your baby’s skin, the warmth releases healing oils, which are then absorbed via the skin into the bloodstream. The oils released from amber contain succinic acid. Recent scientific research has proved that succinic acid has a beneficial affect on the human body: stimulating the thyroid glands to help reduce drooling and soothe red inflamed cheeks as well as having calmative, analgesic, antispasmodic, expectorant, and febrifuge (anti-fever) functions. Amber necklaces can be worn by children aged between 2 months to 3 years of age – which is about the time baby teething stops. In fact, getting your baby used to wearing an amber necklace from a young age is a good idea as the earlier the baby starts with the necklace, the easier it becomes a part of them. They are so used to it being there, that they don’t pay attention to it by pulling on it or attempting to bite it. When buying an amber necklace, make sure you buy genuine amber made from Baltic amber. Also, ensure that each bead is individually hand-knotted so that all the beads remain intact whatever happens to the necklace so there is no danger of choking. This necklace is made from genuine Baltic amber, is double knotted by hand and measures 13 inches from clasp to clasp. Sustainababy recommends removing the Amber necklace during nap/sleep times. 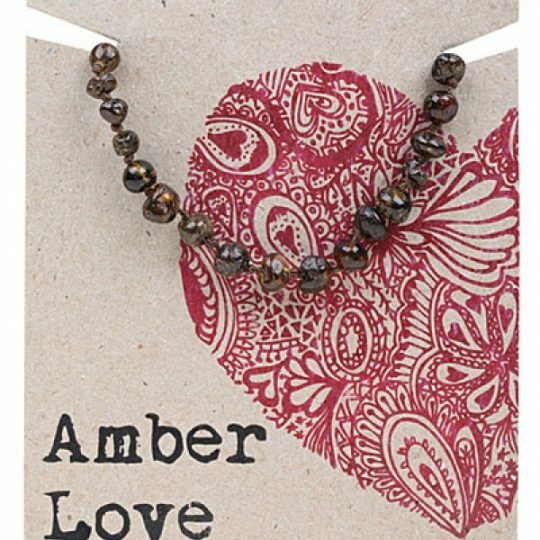 If you would like your loved one to absorb the amber during this time wrap it around their ankle and place a sock over the necklace.